My dad is one of those hold out people. You may know one – the person with the flip phone, no texting and “what the heck is an app?” My mom, on the other hand, has a smartphone, iPod, Kindle, and is slowly working her way through the levels of Candy Crush Saga. Recently my dad mentioned that he may want a smartphone (to be honest, I think he really just wants to be able to text with my husband). So, I went in search of an affordable smartphone with the cheapest wireless plans. It had to be cheap because he is used to a pay-as-you-go phone where he averaged about $20/month! You can purchase a variety of smart phones for under $100! 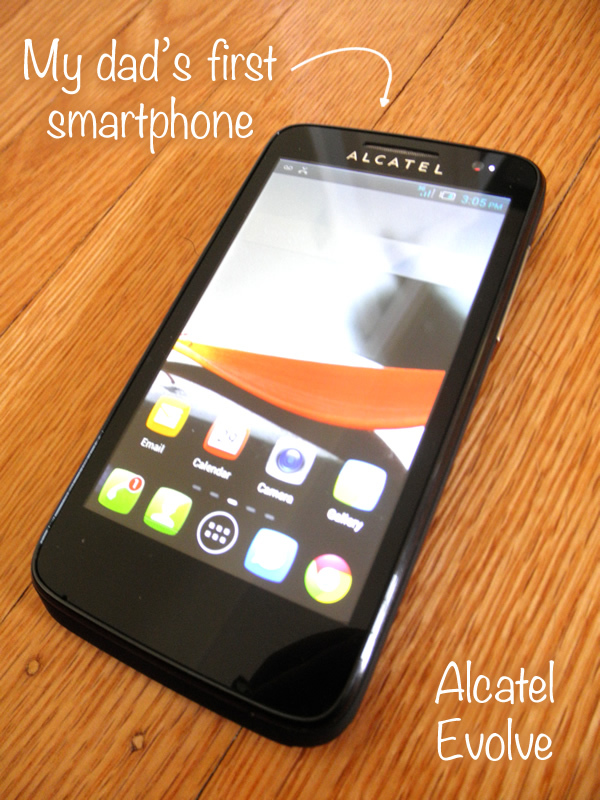 I picked up the Alcatel Evolve shown above for $80. You can sign up for either the unlimited talk & text for only $29.88/month or add in unlimited web for for a total of $39.88/month. I decided that my dad would go in “whole hog” and try the unlimited everything! You can manage your phone and payments in the store or online. Plus, it isn’t a contract—no 2-year plan and no cancellation fees. Like with the candy treat bag for my husband, I wasn’t able to wait to give this to my dad for Valentine’s Day. Instead, I brought it with us to my parents’ house for the Super Bowl. 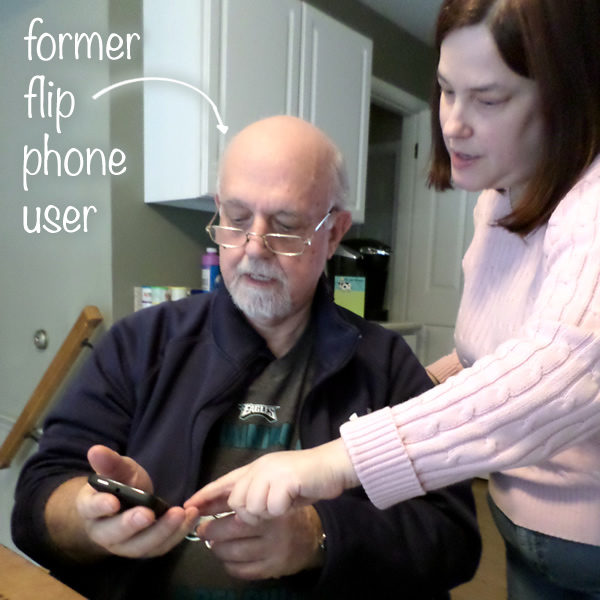 At first my dad was saying things like “I don’t need all of this,” and “what about my flip phone?” Then he slipped on his glasses and my sister started explaining things to him. After a while, he was taking photos of my niece and asking about apps! He was really happy to hear the price per month and excited that he would now be able to text my husband—of course—so they can keep up with sports. While I don’t see Candy Crush Saga in his future, I think my dad will really enjoy his new smartphone and Walmart Family Mobile. It really is the cheapest way to enjoy the perks of a smartphone and keep in touch with family! Had you heard of this wireless plan before? Think you might use your tax refund for a new phone from Walmart? Wow, that's a great price! We use another service found at Walmart...but we pay more. It's also no-contract so we may have to switch and knock our bill down a little more! I was amazed! After getting this for my dad, I want to get it for my husband and I when our contract (boo) is up. We have their wireless plan for our teenager, it is nice because if he does something to lose his phone we can shut the service off until he earns it back. They have great coverage in our area. My fiance and I don't have phones... But I kind of want one again. I'm going to see if they offer this in Canada!! I have never heard of this plan; but it sure sounds amazing! I think companies will start getting more and more competitive as we get more specific and picky. My mom never thought I would be able to convince him, Danielle, but he is eating it up! I love it! He has graduated from a flip phone to a smart phone. 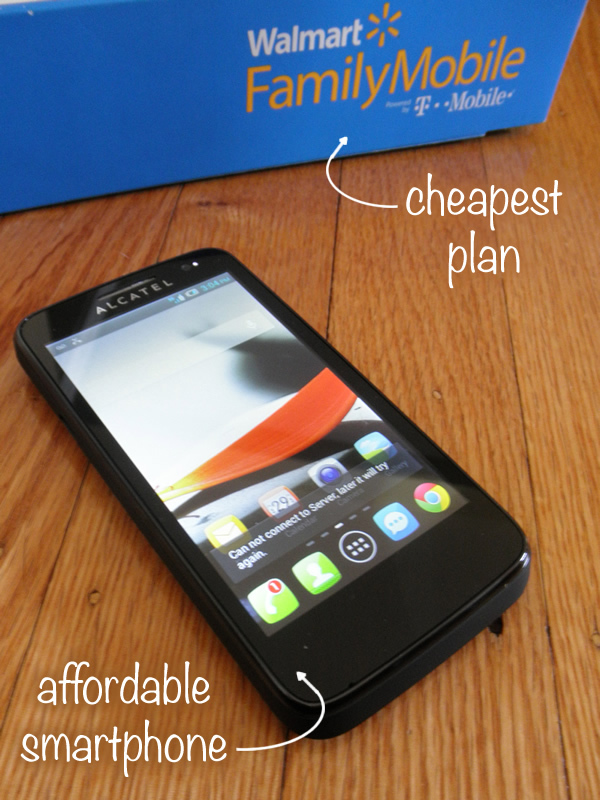 I am so impressed with Walmart Family mobile's plans- they are crazy cheap! I am stuck in my contract for just a few months but I will be switching. As an update, it has been almost one week and my Dad is loving it! I definitely recommend it, Jaime!